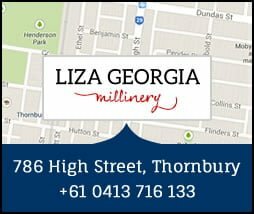 Melbourne based milliner Liza Georgia’s designs are distinctively feminine with exuberant style infused with 40’s and 50’s glamour. 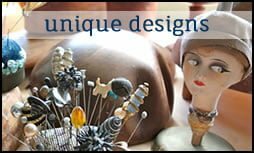 Her pieces are created using traditional millinery techniques blended with innovative quirkiness. Every project is a one of a kind original, designed with an expert eye and created using the finest quality materials sourced from all over the globe. Liza Georgia’s head wear reflects her exuberant style. Whether it is on Australian soil or in the international arena, her creations are sure to turn heads. She has made into the finals for the Millinery Awards at Crown Oaks Day, Flemington and also won a few awards at the Dubai World Cup. From unique hats to bridal headwear and everything in between, Liza creates to suit the individual. Her collection is elegant and classical, with a twist of the unexpected!